Welcome back to our bargain of the week linky. This time of year the high street has lots of offers on and everyday there seems to be 20% off one of the main shops. I can’t share my best buys of the week but they came from Argos and are Christmas presents! I also used Argos when it was the 3 for 2 on toys. With it being Erin’s birthday I bought her the baby Annabell changing table she wanted at £39.99, the Sylvanian Doctors cottage for £30 and then got some Baby Annabell clothes as my free toy. A word of warning with all these offers is that do shop about and check online. Toys R US currently have the changing table for £35 so you do need to do some Maths to ensure you are using the deals correctly to get the best value. Likewise Argos have their annual spend £100 get £10 credit, spend £50 get £5 credit. As I was buying three items that came to over the £150 it was better to buy the two items and then get the £10 credit. I then queued back up and bought the third item using the £10 credit and getting a further £5 credit. Following! But this way I got £15 off but was able to use the vouchers straight away and not feel pushed into using them on something later in the month that I didn’t really want. Had I bought all three together I would have only £10 credit and I would have had to spend it on something else. Therefore you just need to be a savvy shopper at this time of year! 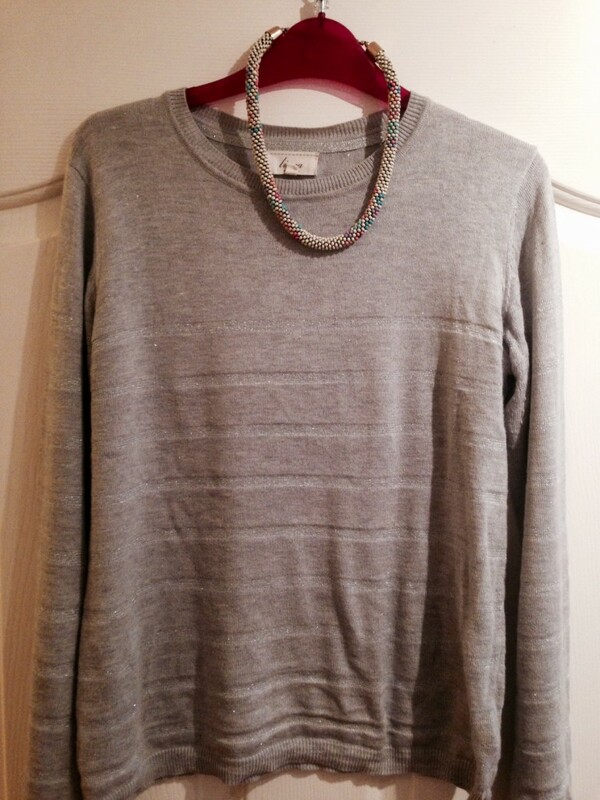 My other bargains this week have included yet another trip to the charity shop where I was dropping off some bits pre opening birthday presents and spotted a lovely fitted Linea silver jumper for just £3.99 Another great buy that looks fab. Do share your bargains with Becky and me and we will tweet and share those that link up. OOh love that Emma great find! Michelle Twin Mum recently posted…We’re off out for a run Mum! I’ve been taking advantage of the Argos 3 for 2 on toys too, and doing at as separate transactions to get the best value. Tesco have a great clothing sale on at the moment too and managed to bag Tigger some new LEGO Ninjago tops for just £3.00 each.